Need a cute birthday, graduation or Mother's Day gift? Stop by the Alameda Support Foundation's spring Charitable Plant Sale. Dozens of pretty succulents and other potted plants will be available. 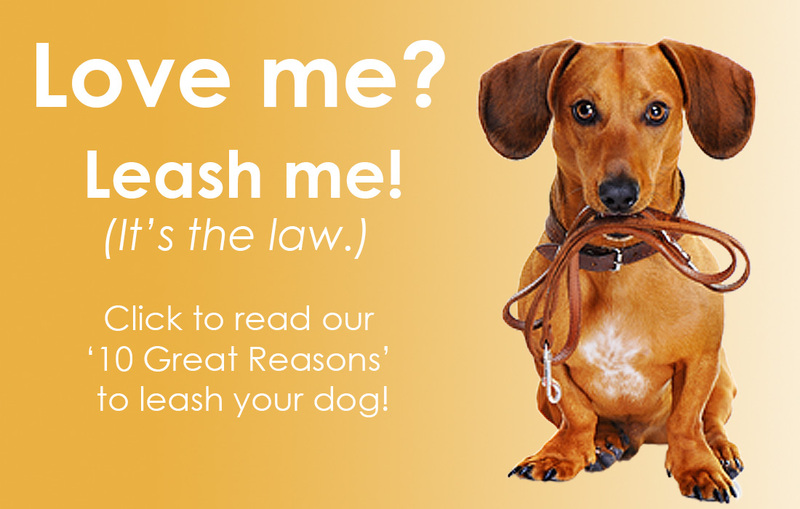 Proceeds go to support FAAS's new satellite adoption center in South Shore Center. When: 11 a.m. - 4 p.m., Sunday, May 5, 2019. Rain or shine. Friends of the Alameda Animal Shelter (FAAS) is excited to announce a new location! FAAS South Shore will open in late May in the heart of Alameda's outdoor shopping mall, South Shore Center. 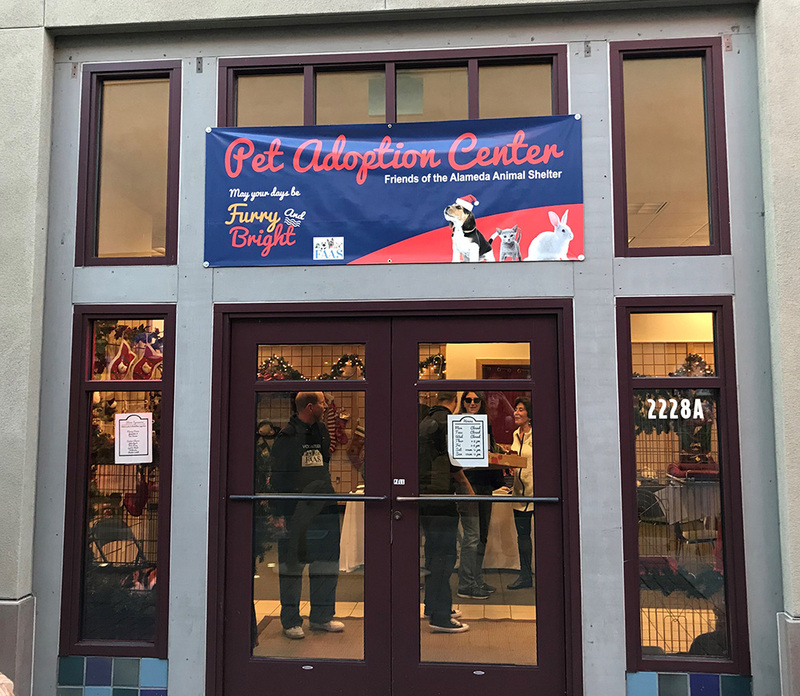 This new satellite location will offer adoptable cats and rabbits and host a canine adoption weekend once a month. FAAS will continue to operate the main city animal shelter at 1590 Fortmann Way. 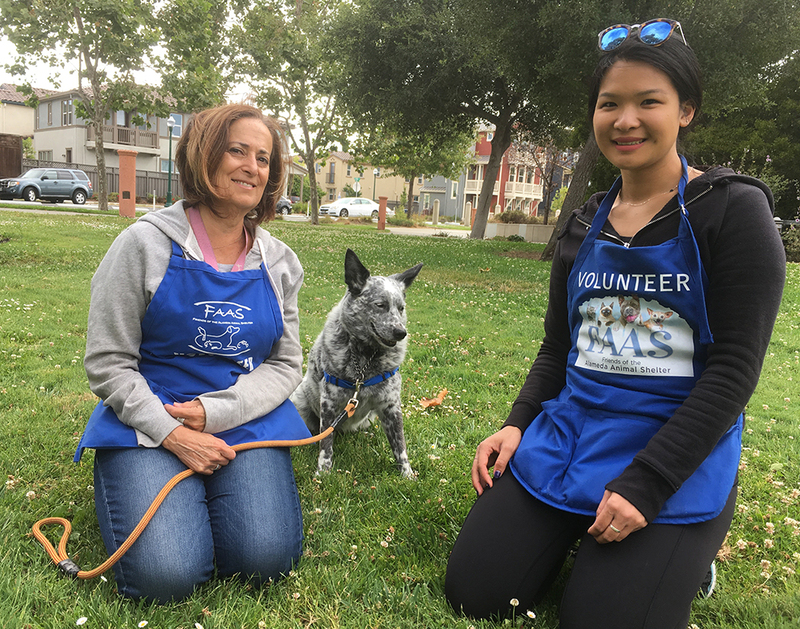 We invite businesses and individuals alike who want to be a part of this exciting opportunity for Alameda's homeless pets to become a sponsor of FAAS South Shore! Read more. FAAS alumnus Starfish is back in the spotlight, starring in a touching new mini-documentary, The Puppy Who Wasn't Supposed to Walk. 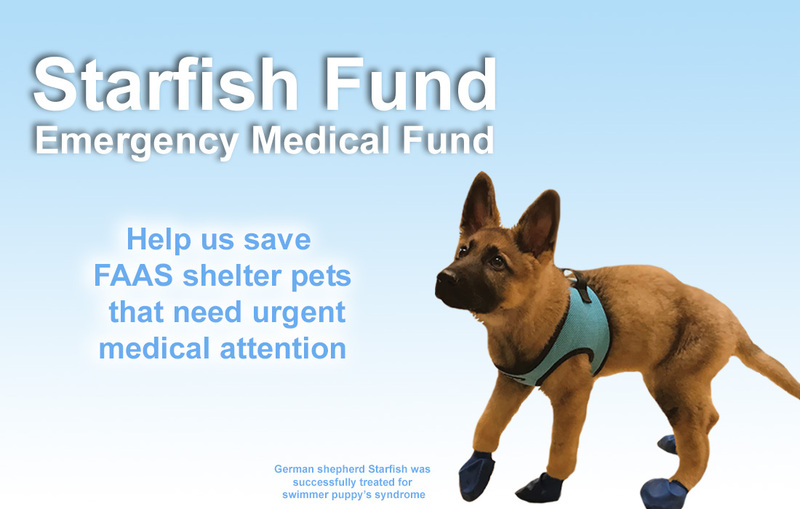 You can help save other homeless pets that arrive at FAAS in need of medical care by making a donation to the Starfish Fund. But first, grab your hankie and enjoy the new video! 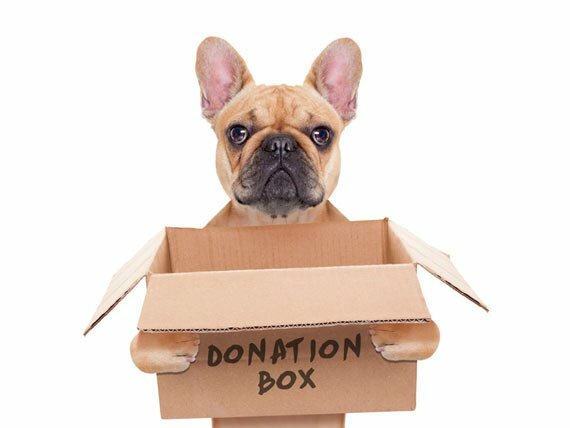 Help us always be there for homeless pets by making regular monthly or quarterly donations. Please consider becoming a Forever Friend. 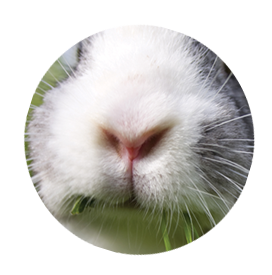 Are you planning a fundraiser for FAAS? Thank you! Before getting started, please read this. April 20, Saturday, 10-11:30 a.m.
April 30, Tuesday, 4-5:30 p.m.
May 7, Tuesday, 4-5:30 p.m.
May 18, Saturday, 10-11:30 a.m.
May 28, Tuesday, 4-5:30 p.m. 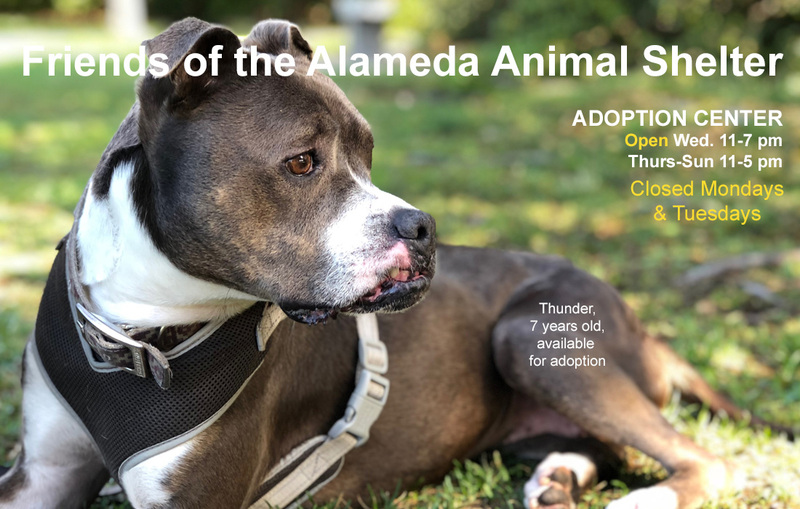 Copyright © 2018 Friends of The Alameda Animal Shelter.